Album Artwork Round Up; Olly Murs, Pixie Lott, Cee-Lo, JLS, P!nk and Rihanna! It's been a WHILE since I've posted a good old fashioned artwork update so I thought, WHY NOT...since there's so much good stuff out there. First up? Olly Murs. YUMMY! I'm really excited for Olly's debut album. Seeing how well his first single ("Please Don't Let Me Go") did on the UK charts, I anticipate that his album will do as well...if not #1 definitely landing a spot in the top 5. The album, Feel Free is due out on Epic Records/Syco Music November 29th. The album features collaborations with John Shanks, Eg White, Roy Stride, Trevor Horn and more. Olly's follow up single is reportedly called "Thinking Of Me" featuring British rapper Professor Green. Love the album artwork here. 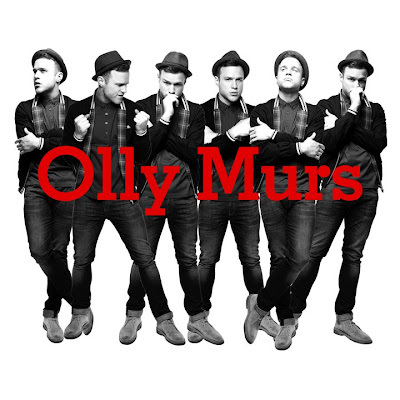 Olly is looking fine (per usual) in B&W with a red font for his name. 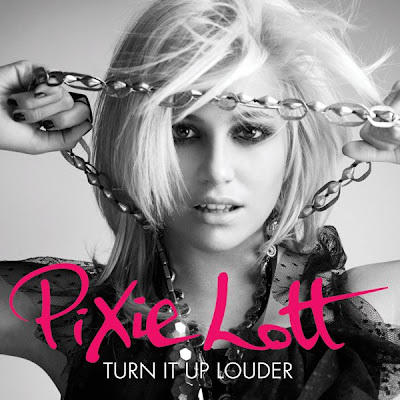 I've been championing Pixie Lott for a while now on this blog. I love her. I think she's different. I think she's talented, both as a singer and as a songwriter. As much as I generally frown upon an album's flashy re-release (as a means to milk an album for all it's worth) I'll take all the Pixie I can get right now. Turn It Up Louder comes out on October 18th in the UK (via Mercury Records) and features the new single "Broken Arrow" (October 11th) plus 4 other new tracks. Also included on the release is the supposed next single, "Coming Home" which features American R&B/popstar Jason Derulo. Lott's debut U.S. single "Boys & Girls" is out now on iTunes. 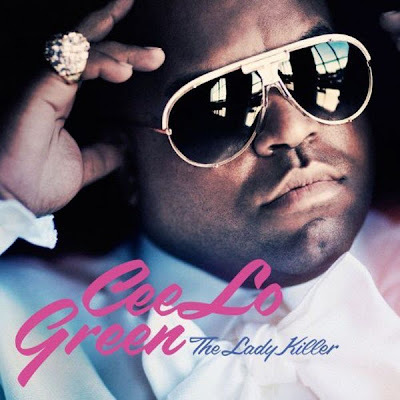 I don't really know what else to expect from Cee-Lo Green's new album but I expect it's going to knock my freakin' socks off. It's the other songs on the disc are even half as brilliant as "F**k You" then we're all in for a real treat. Upon it's initial release "F**k You" received over two million plays in less than a week and that was BEFORE an official music video even came out. Even though I first fell in love with Green as 1/2 of Gnarls Barkley Green has been doing his own thing for a LONG time, signed to Arista for 2 records. The Lady Killer is out November 9th via Elektra Records. "F**k You" is out now in America and the UK. Take my word for it and skip over the radio-friendly "Forget You." A little over a year after the release of their self-titled debut album, the boys of JLS are back with their sophomore effort. 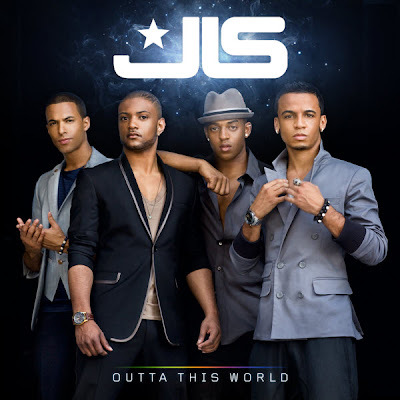 Called Outta This World, JLS are releasing their follow up album November 22nd on Epic Records. Outta This World will be preceded by BBC Children In Need Charity single "Love You More," (November 15th) the album's official second release and follow up to "The Club Is Alive." The album features collaborations with Steve Mac, Lucas Secon, Chris Braide, The Runners and others. Barbadian R&B/Popstar Shontelle features on a track called "Ay Mama" (produced by The Runners) which is rumored to be a future single from the album. The boys' debut album is out now in the U.S. on Jive. Long unappreciated here in U.S., P!nk's star has recently become a bit brighter here in the U.S. I wish I could pinpoint WHAT it was that boosted her profile Stateside (was it her acrobatic performance singing "Glitter In The Air" at the The Grammys?) but I'm glad that she's still releasing stuff here. P!nk's forthcoming greatest hits compilation, Greatest Hits...So Far!!! (November 16th) released on LaFace/Jive Records features 18 tracks including the INFECTIOUS new Max Martin-produced single "Raise Your Glass" (October 18th) This is one greatest hits album I would DEFINITELY buy, whether or not I already owned all of P!nk's previous releases. SOLID. The album will be available in both a standard edition as well as a Deluxe edition with a DVD. Check out the tracklisting here. After enduring the dark, depressing, albeit sophisticated sound on Rated R, I think Rihanna's fans are ready for something lighter, fluffier...LOUDER. Maybe her friendship with Katy Perry has influenced her musical style, because new single "Only Girl (In The World)" is JUST what the doctor ordered. The Stargate, Sandy Vee-produced single is dance-pop in it's simplest, purest form. No bells and whistles...just good pop music. The single went on to peak on the Billboard Hot 100 at #3 and is currently at #13 and #17 on the Billboard pop and dance charts respectively. Loud, due for release November 12th in the U.S. (Def Jam) and November 15th in the UK (Mercury), comes right on the heels of her previous release. I have MAD respect for Rihanna as an artist. Girl works HARD to put out quality music. After her debut album's two singles failed to ignite the charts, Rihanna got to work on her follow up album, which was released less than a year after her debut came out. Then a little over a year after that...Good Girl Gone Bad. Workaholic much? As long as it's hot she cam put out albums every year. Just don't rush it Ri Ri! Loud features collaborations with Taio Cruz, Alex da Kid, Sean Garrett, Ne-Yo, Rico Love, Timbaland, Shontelle, David Guetta and Drake...to name a few. Sounds like Rihanna's got another hit on her hands.